I think I will pick a word for the year, but I am still trying to decide what it will be. Have you picked a word for the year? Today I am finally sharing a project that I shared a couple of months ago over on Jennifer Rizzo’s blog. I am in the midst of cleaning, purging, and reorganizing… which reminded me that I need to finish Ella’s room… which reminded me that I never shared this project here with you! 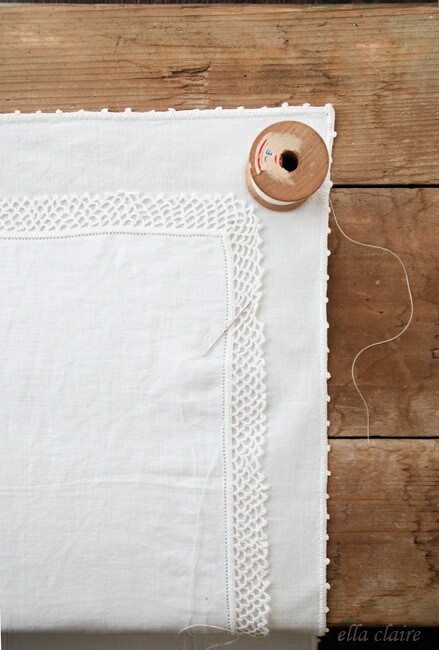 I have been slowly collecting pieces for my little Ella’s new room and right now I am working on the bedding. 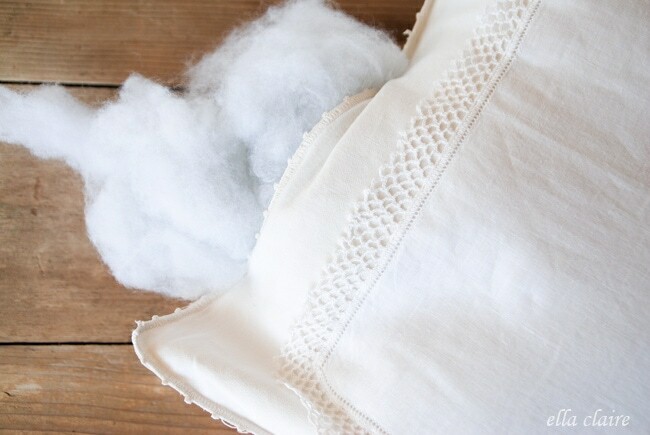 I have gathered a few pillows and a pretty cream quilt. 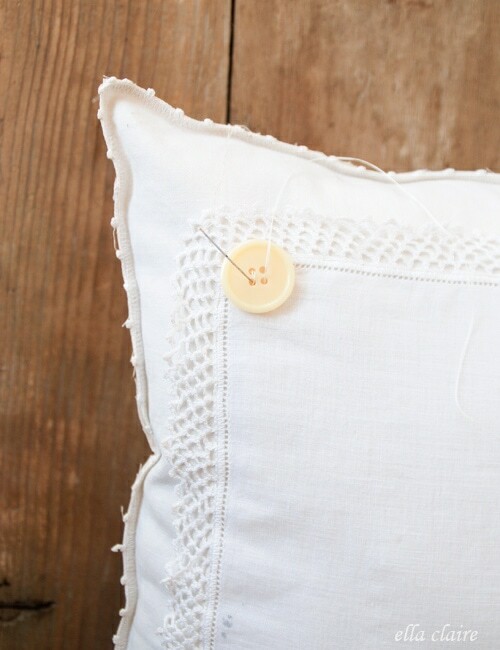 I wanted to add a little handmade touch so I decided to make an accent pillow from a few things in my vintage stash. 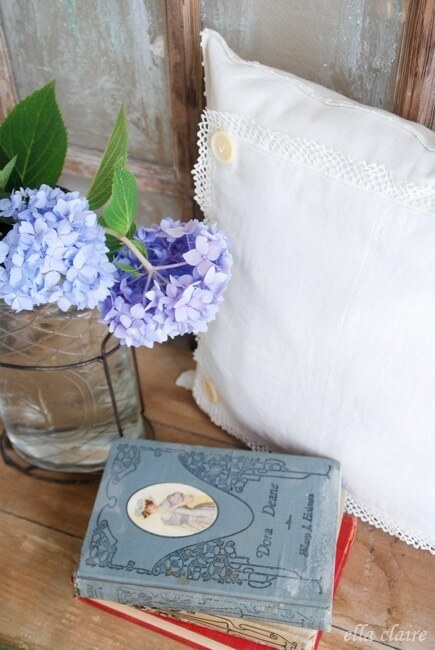 My heart just skips a beat for old notions and linens! 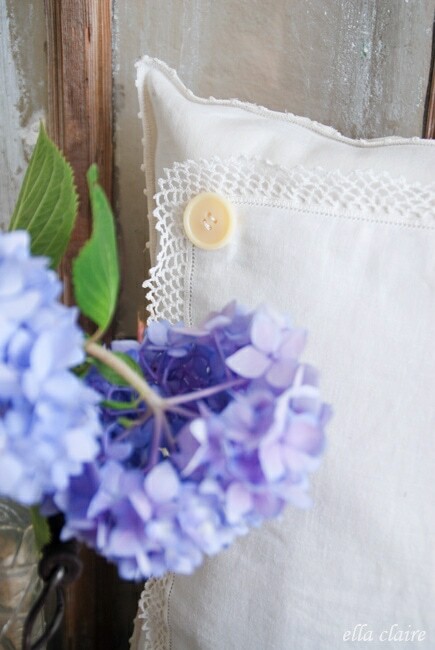 For this pillow, I used a vintage napkin, hankie, and buttons. First, I hand-stitched the hankie onto the napkin. Then I sewed a simple muslin back onto the napkin and stuffed it with cotton. When I was finished, I hand-stitched the opening closed. 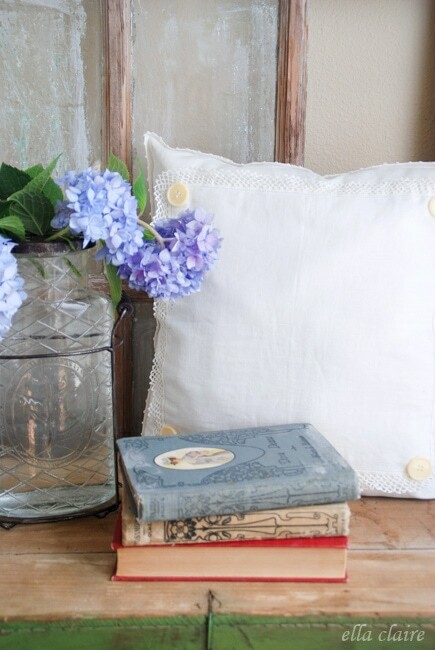 I added some beautiful little vintage buttons onto my pillow. I love that they are creamier, so they will match the cream quilt so well. And it is finished! It was actually really quick and simple to make. 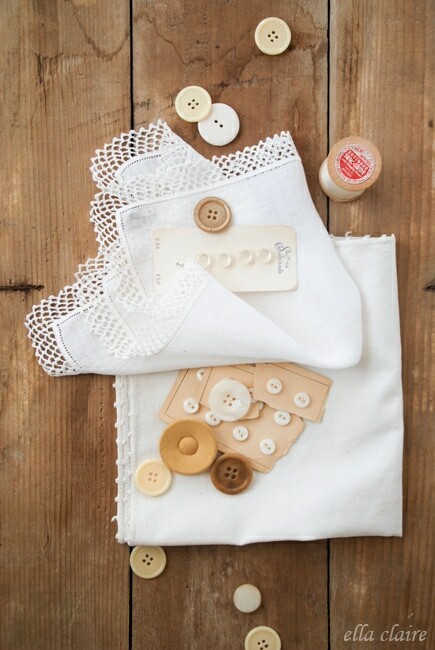 I love the combination of all of the fun textures- the nubby edging, the crocheted hankie trim, the buttons. Love. I am excited to finish her room. I love rooms that feel more collected instead of decorated, so I don’t mind waiting while I gather all of the bits and pieces to complete the room. Seeing my little stash come together is so fun. Thank you for letting me share my little pillow with you. I hope you are having a wonderful week! 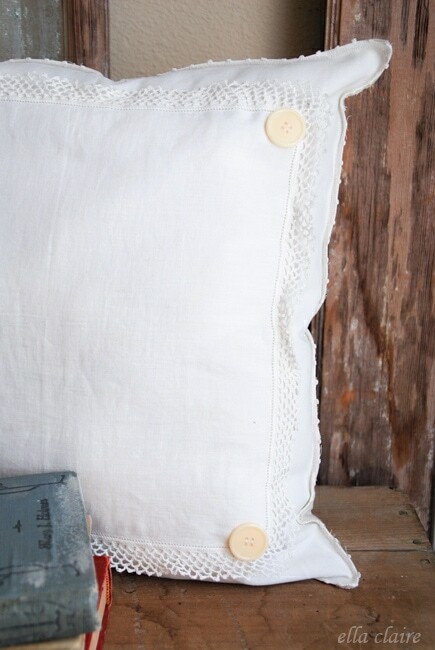 This pillow is gorgeous, Kristen! One of my goals for this new year is learning to sew. Hopefully this can be one of my projects and I would love to put it in my daughter’s room too. Thanks for sharing 🙂 Good luck picking a word! So pretty and easy. The perfect combo. It would look great in any room. Your pillow is beautiful Kristen! Wishing you a Happy New Year and looking forward to seeing what you have in store for us in 2014. Lovely little pillow. I agree with you about “collecting” rooms rather than “decorating” them. The most personal spaces take time to come together. Your pillow is darling Kristin..Love it..Happy New Year.. Your pillow is so precious and dainty!